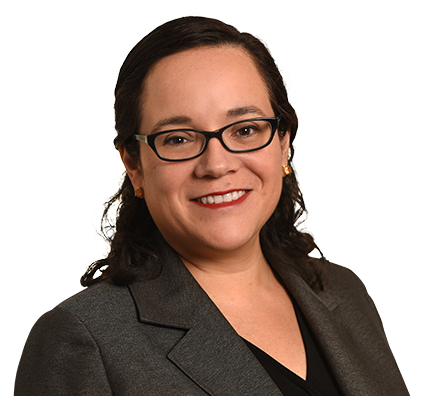 Coty concentrates her practice in the area of environmental law and advises clients on permitting and enforcement defense, environmental, safety and health compliance and environmental liabilities in commercial transactions. She represents clients in the agricultural, mining, specialty chemical manufacturing, transportation, energy and communications industries, as well as financial institutions and municipalities. Coty’s experience in the food and agribusiness industry includes representation of agriculture seed, fertilizer and pesticide manufacturers, and food processing and distribution companies. She has advised her clients on a broad range of water, air, waste, and health and safety matters. She also has experience with developing compliance plans and responding to government information requests. Before practicing law, Coty worked for several years in the public and private sectors in environmental testing and quality control and developed practical technical knowledge and abilities that inform her practice through her public works, municipal waste management and public utility (including industrial wastewater regulation) experience. Provided environmental compliance advice to food processors, transportation, and various manufacturing clients regarding discharges to surface water and groundwater, assisting clients in obtaining federal pollution discharge and Army Corps of Engineers permits by preparing applications, appealing adverse decisions, and negotiating with regulators. Counseled large international agricultural and chemical manufacturing clients regarding environmental compliance audits and disclosure of violations, applicability of occupational safety and hazardous waste regulations, responding to investigation and enforcement notices, and compliance with permits and consent orders. Advised domestic and foreign food product manufacturers and processors as well as chemical manufacturers on pesticide-related regulatory requirements. Assisted large financial institution and transportation clients with evaluating environmental liabilities in significant commercial transactions. Assisted large chemical manufacturing clients with complying with state programs governing the cleanup and redevelopment of contaminated sites.